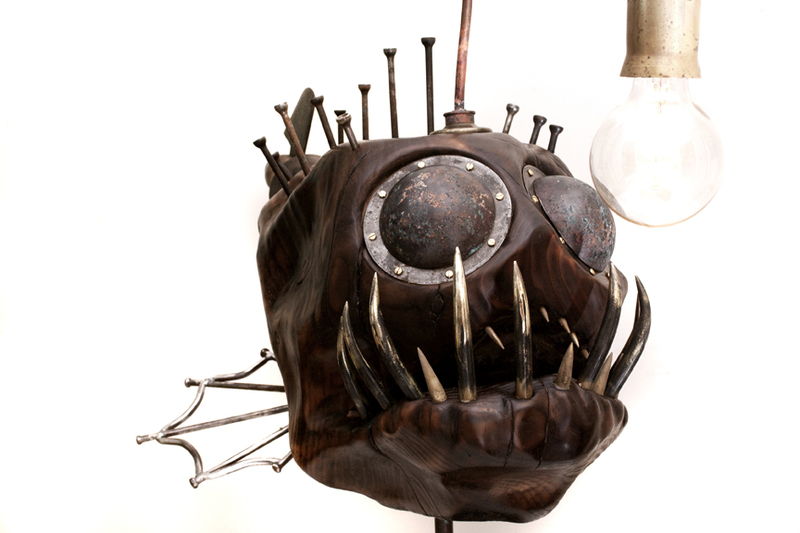 The body of Edison the Angler fish lamp is made from Burr Oak, eyes are brass door knobs. 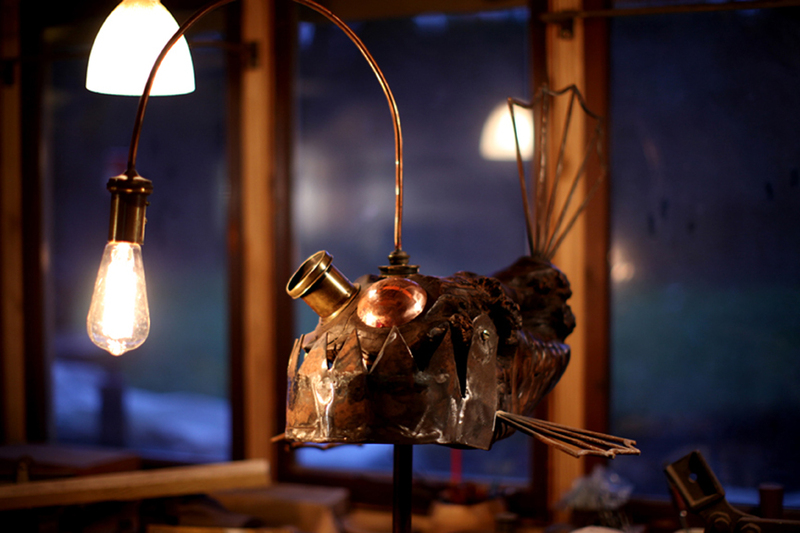 I used salvaged plumbing materials for the lamp and steel bar for the fins. 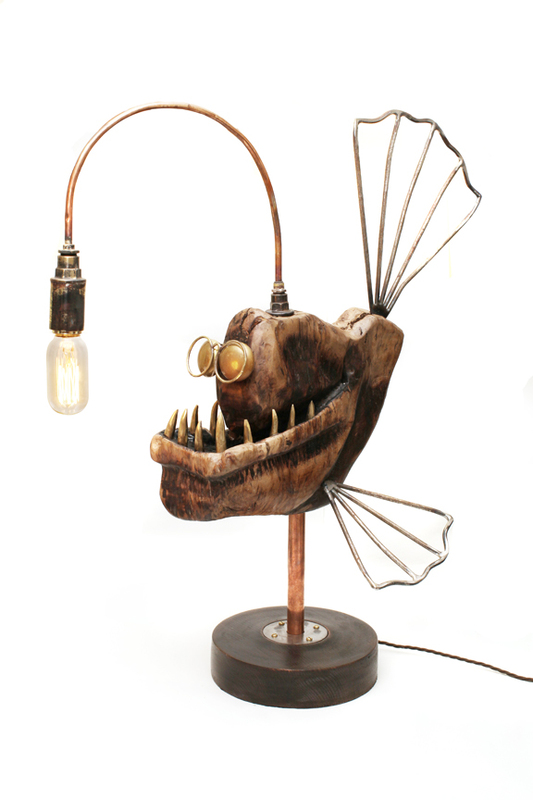 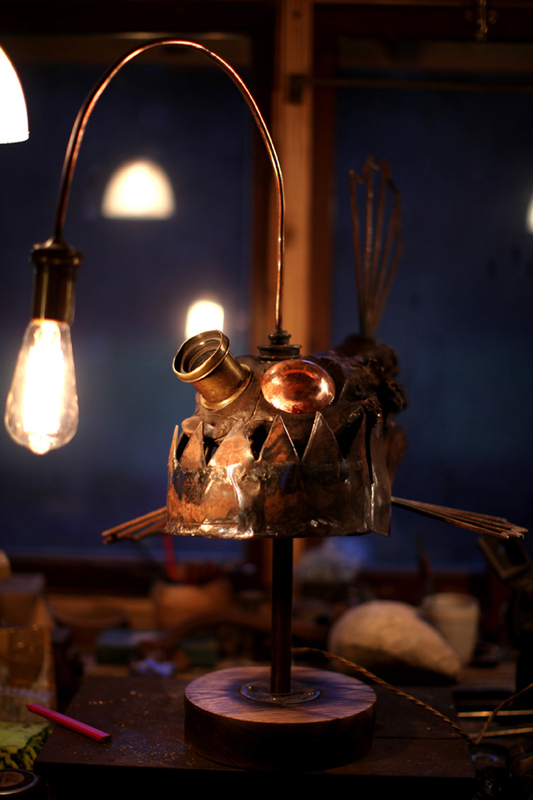 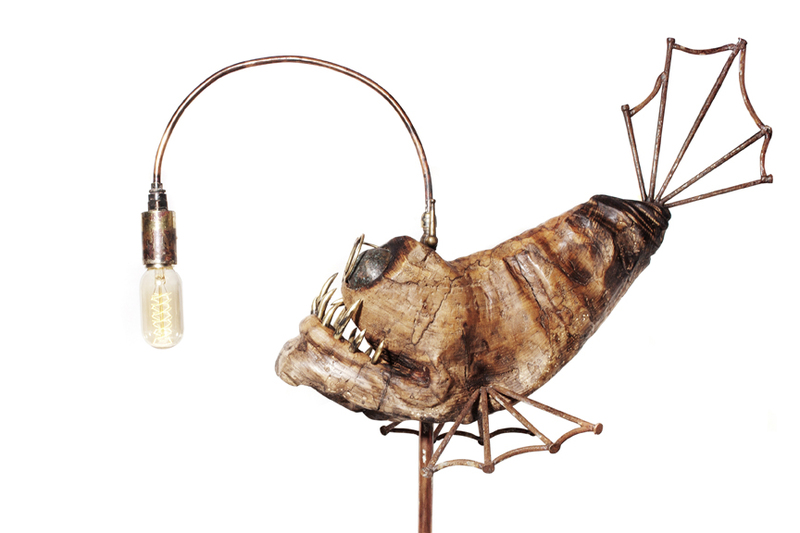 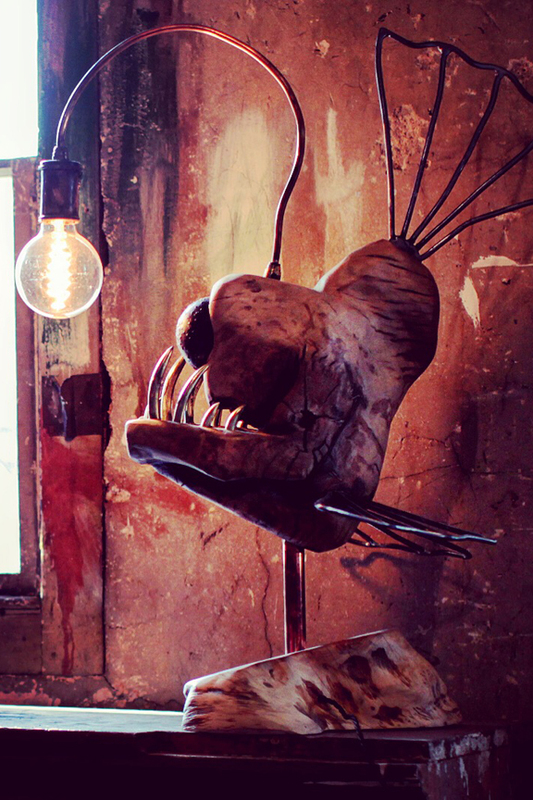 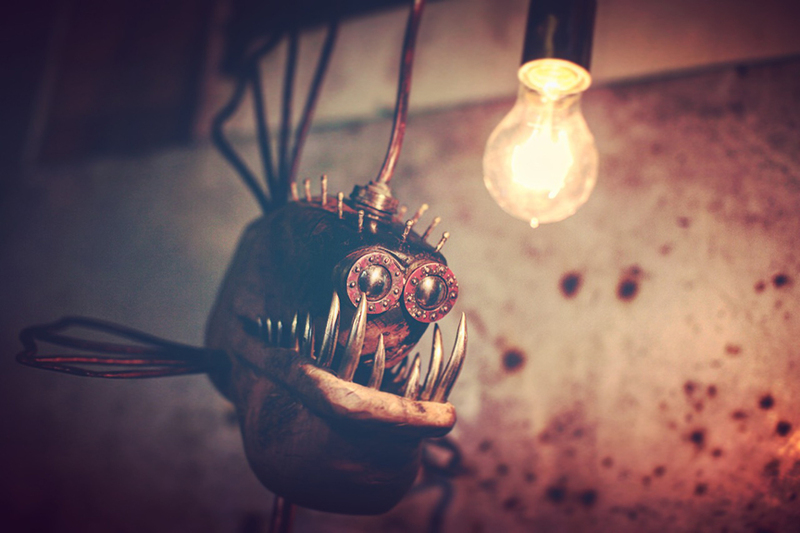 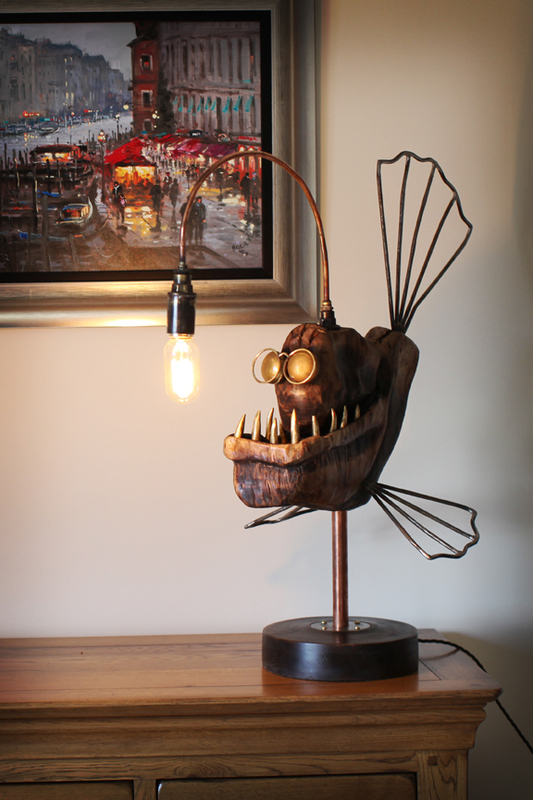 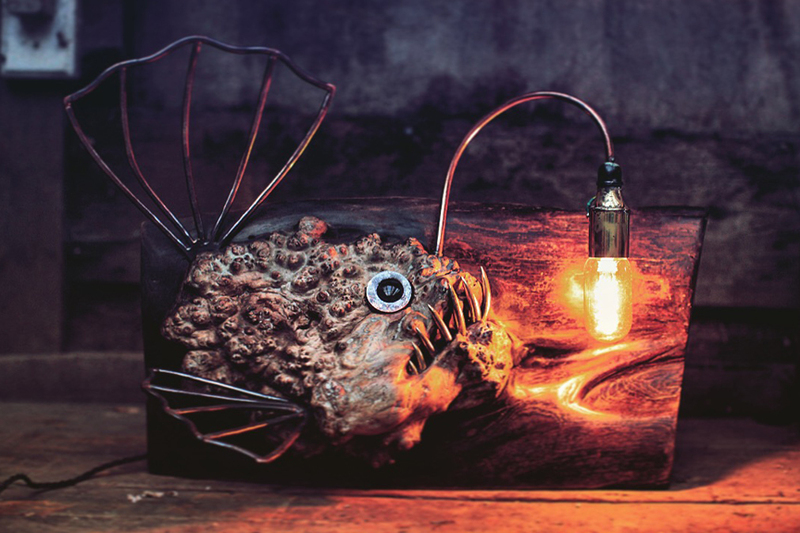 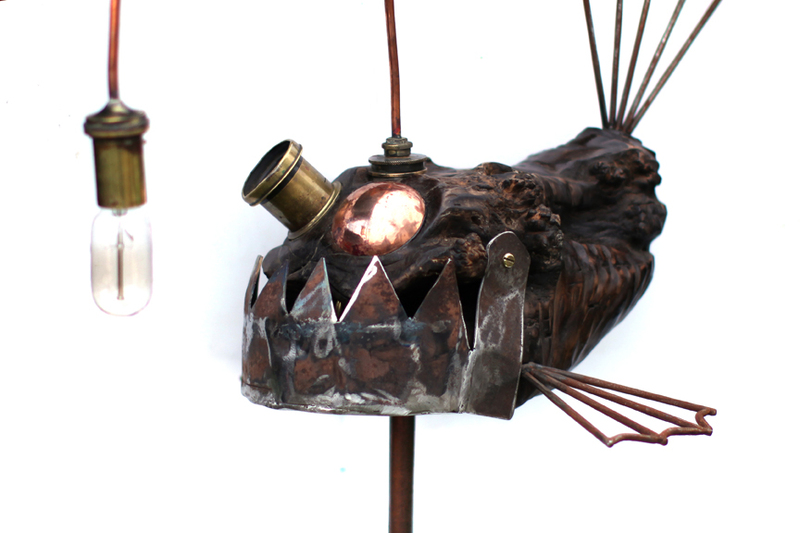 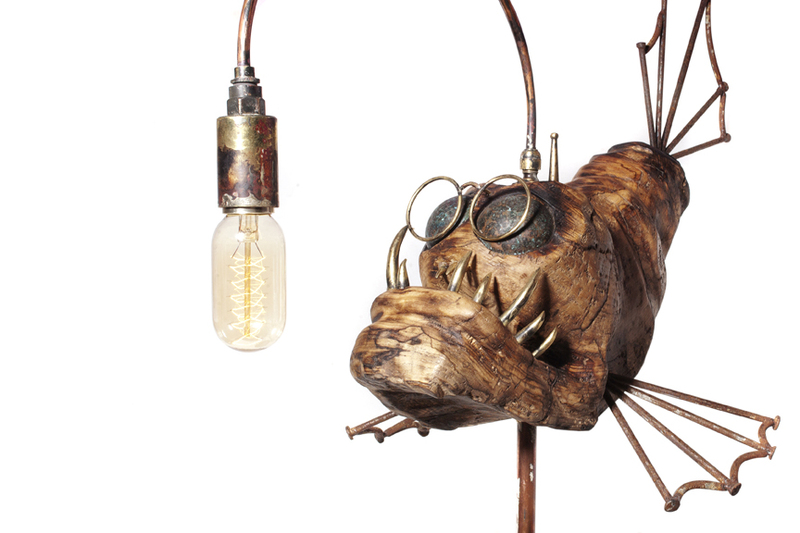 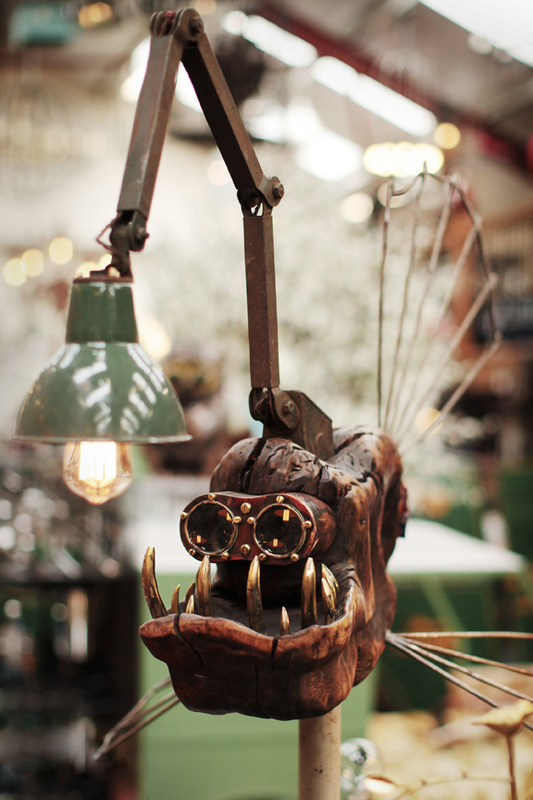 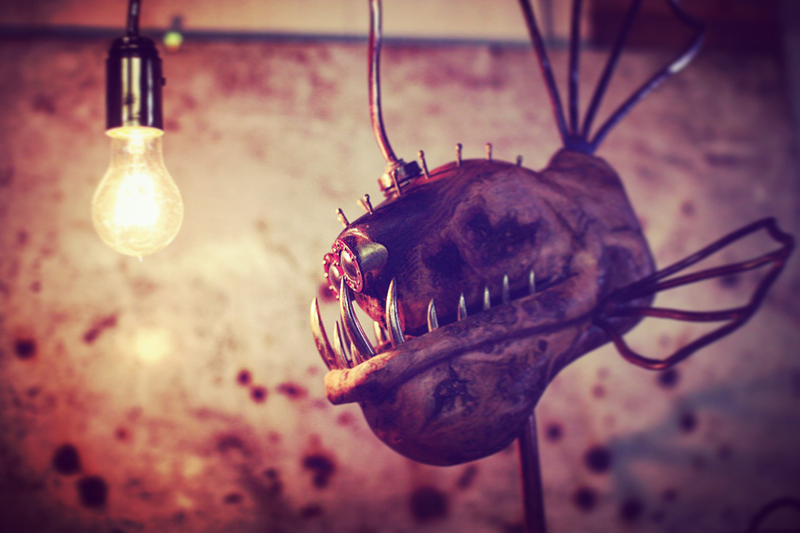 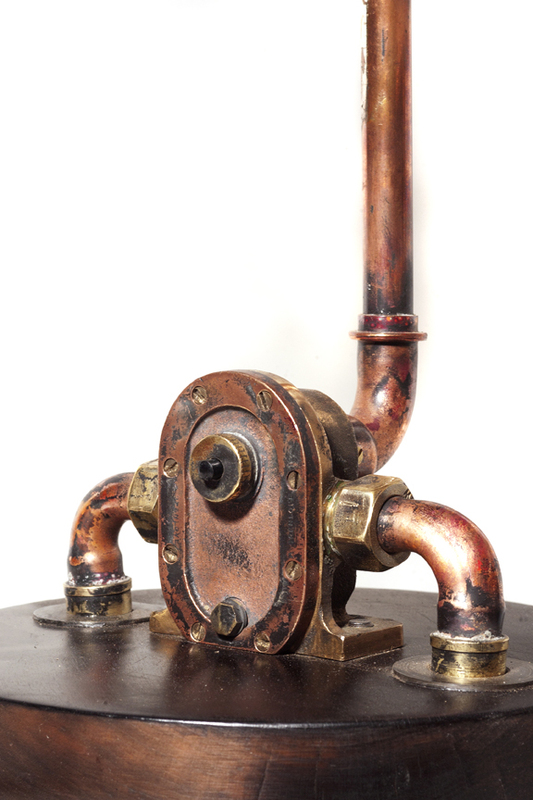 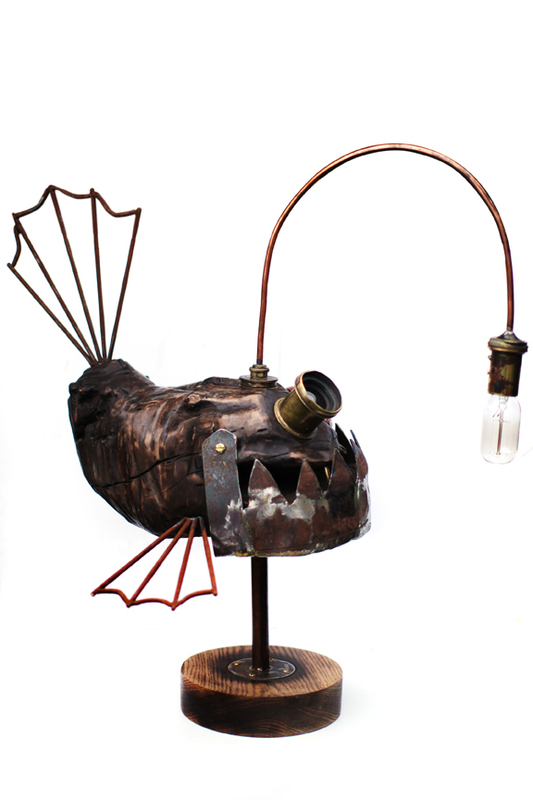 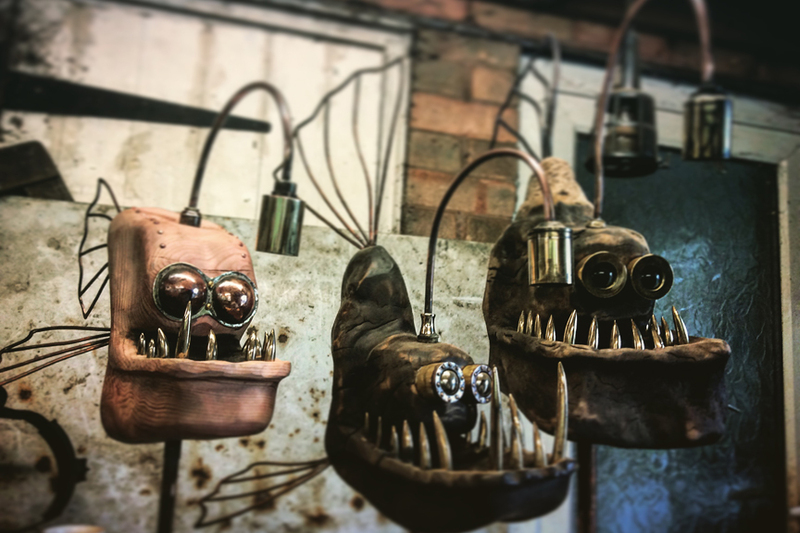 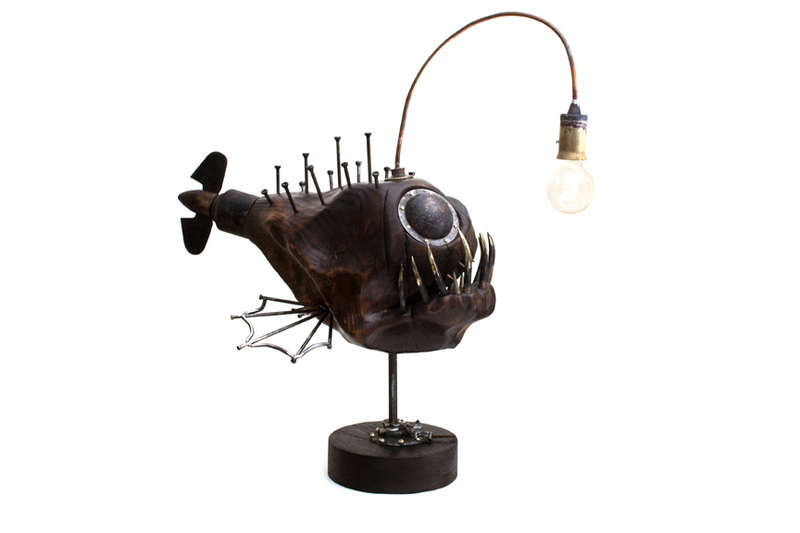 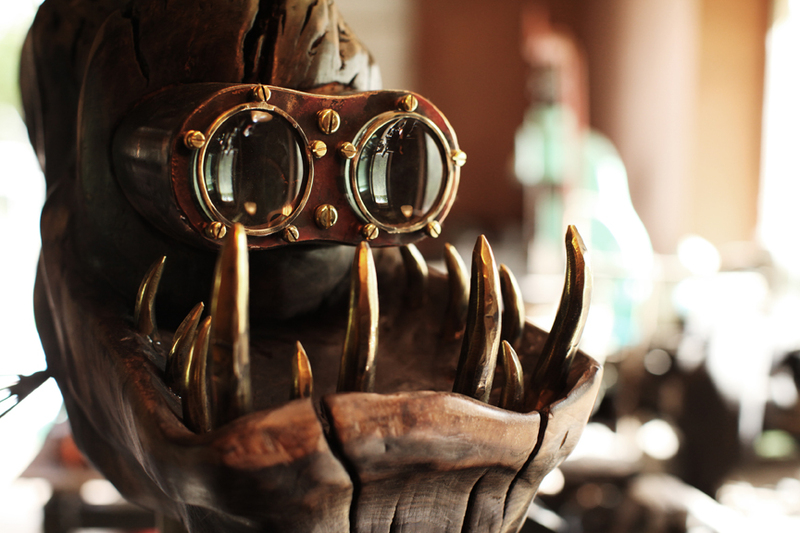 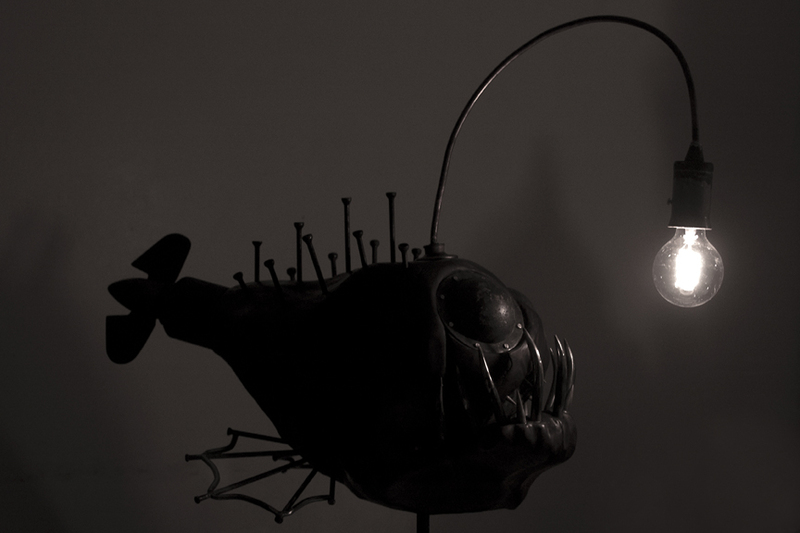 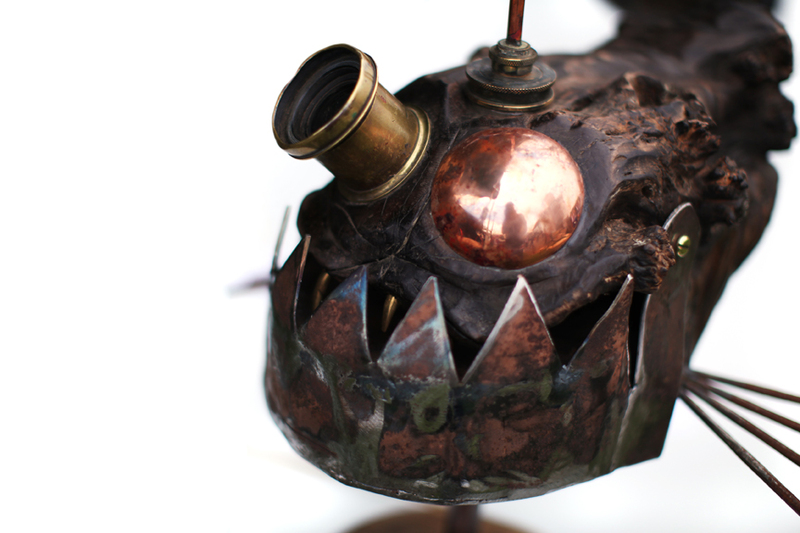 Angler fish lamp made from both reclaimed and specially created components. 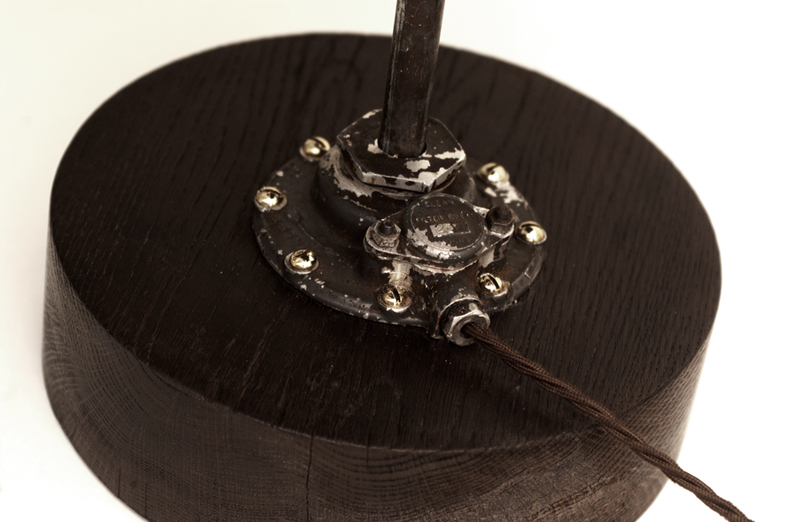 Spalted Ash, Patinated Copper, Six Inch Nails, Brass, Maple and reclaimed objects. 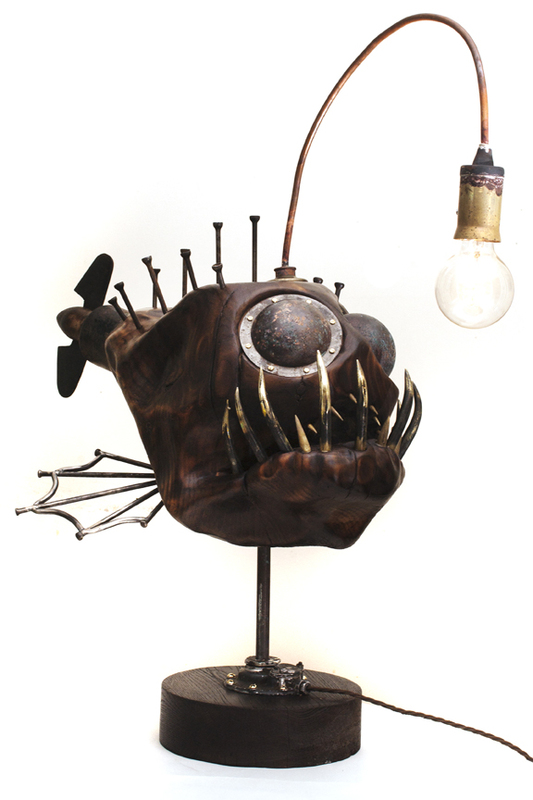 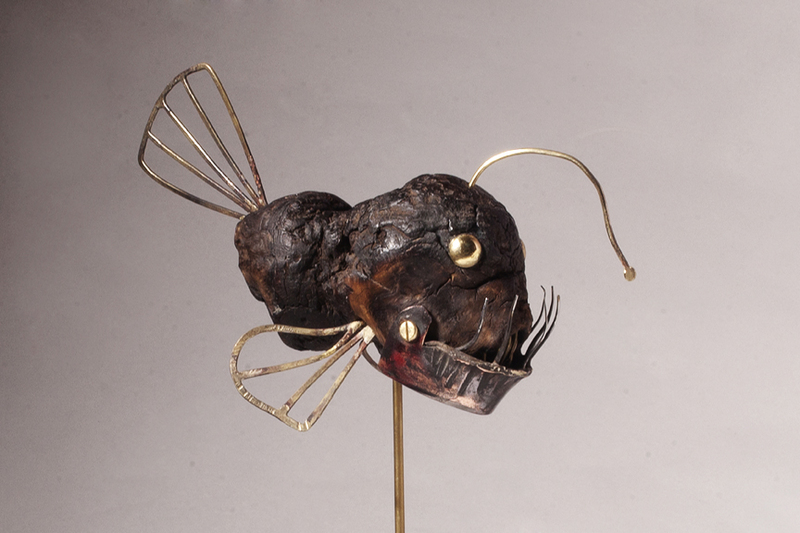 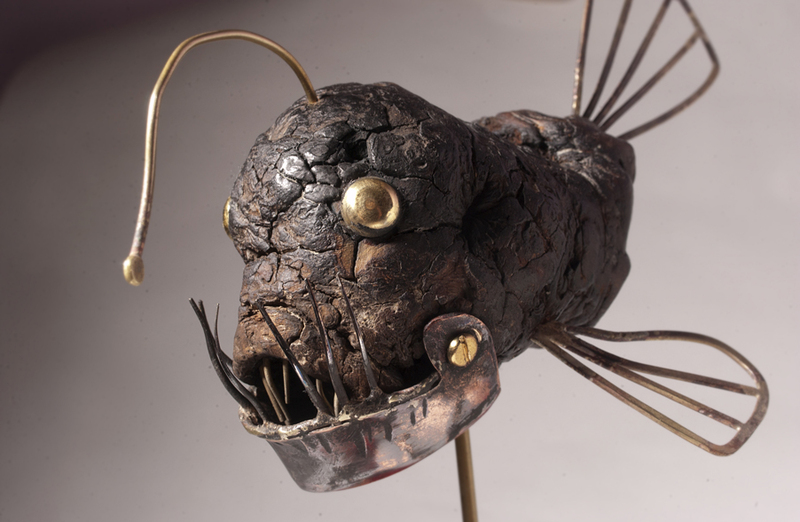 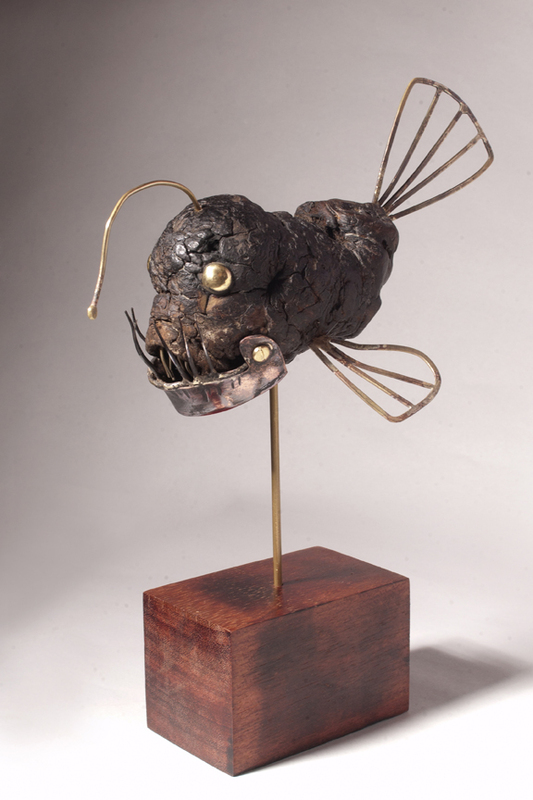 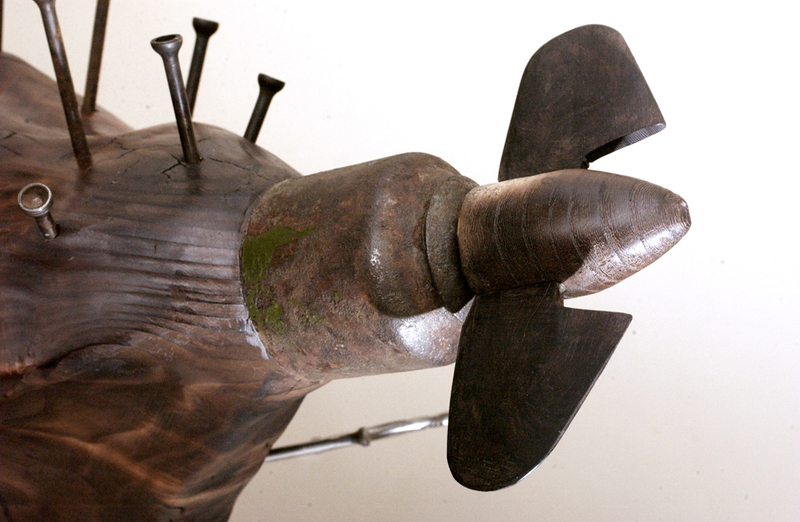 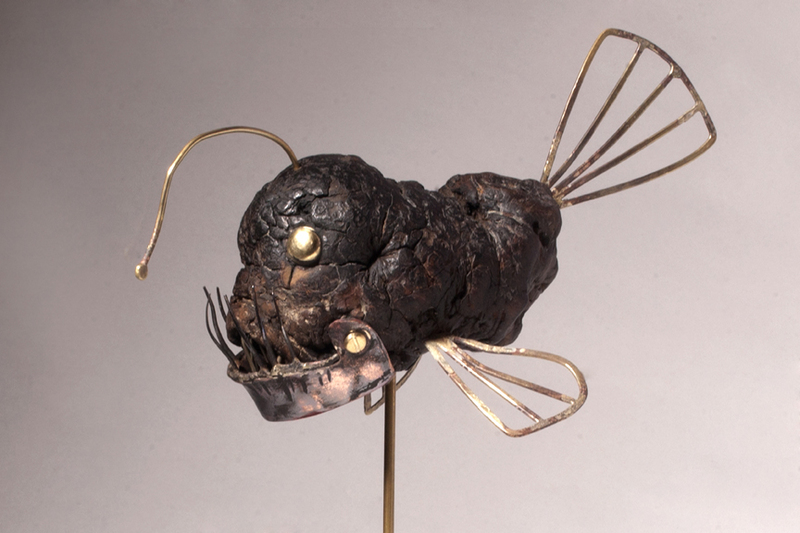 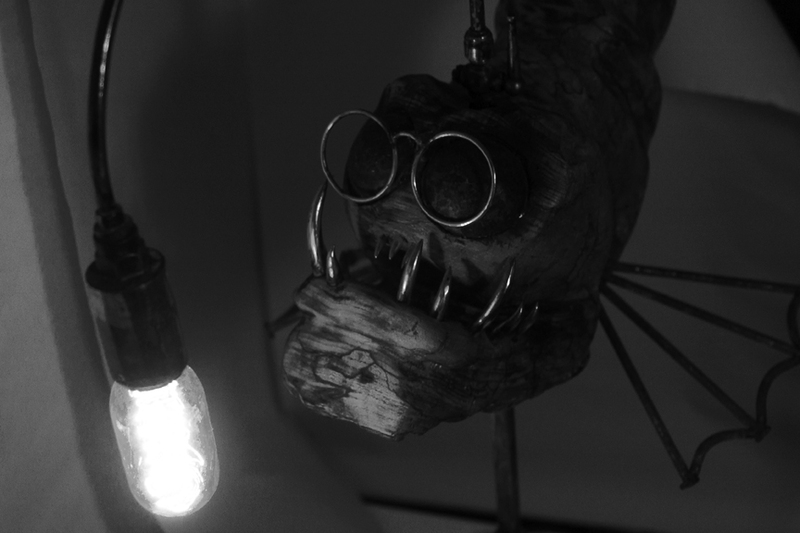 Prop Tail the Anglerfish is made from a combination of found materials with purpose made components. 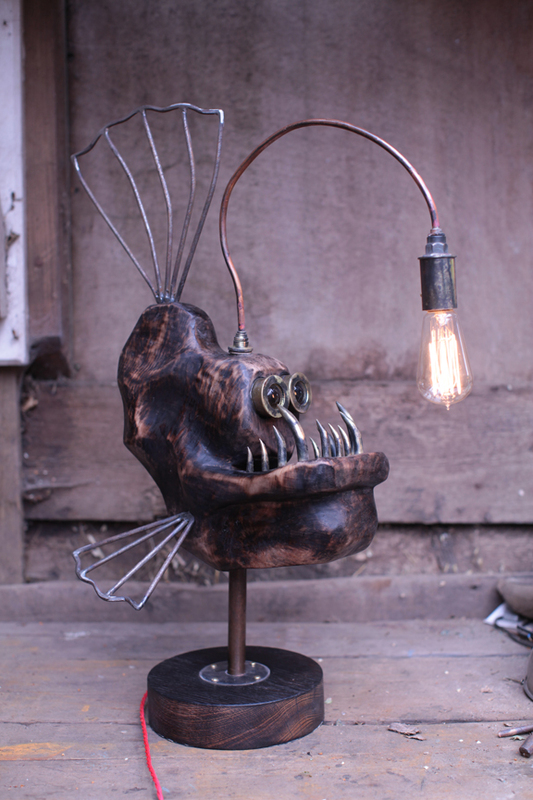 This piece has been wired as a lamp and the 40 watt bulb creates a moody composition. 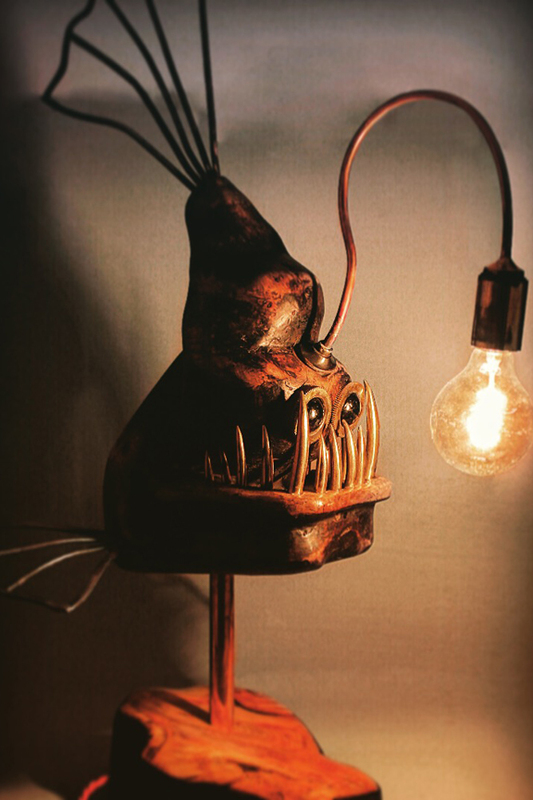 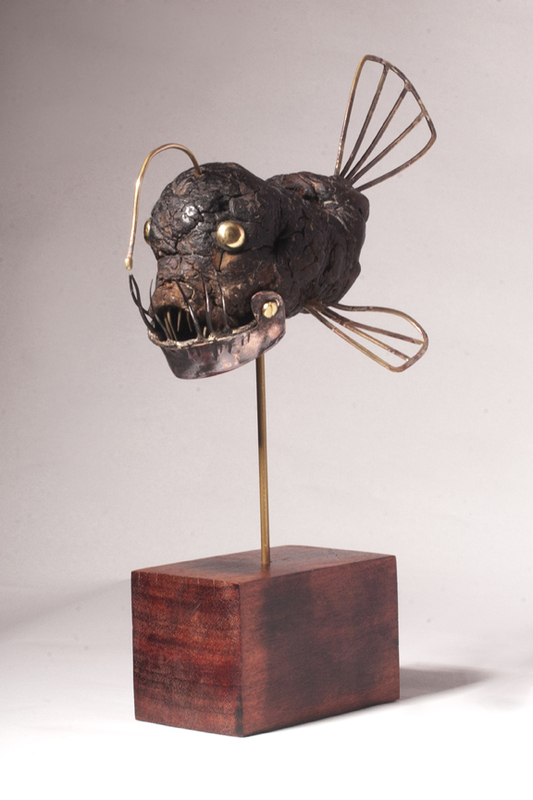 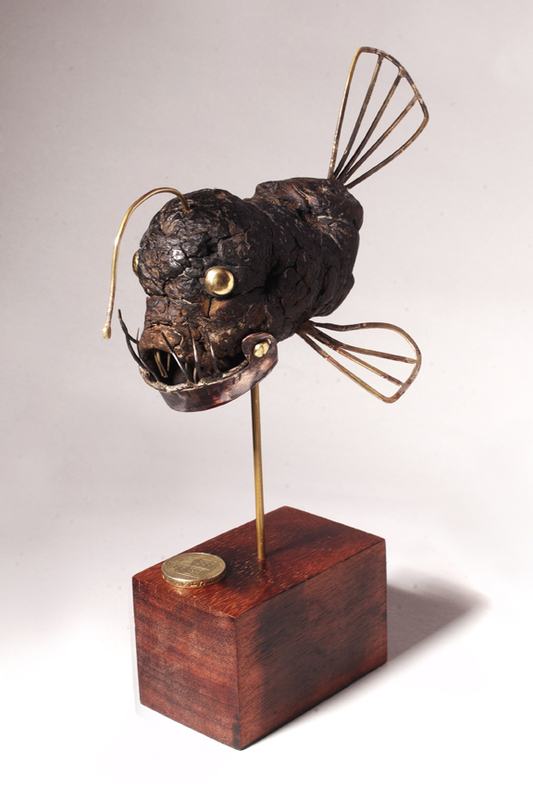 Anglerfish created from found Burr wood. 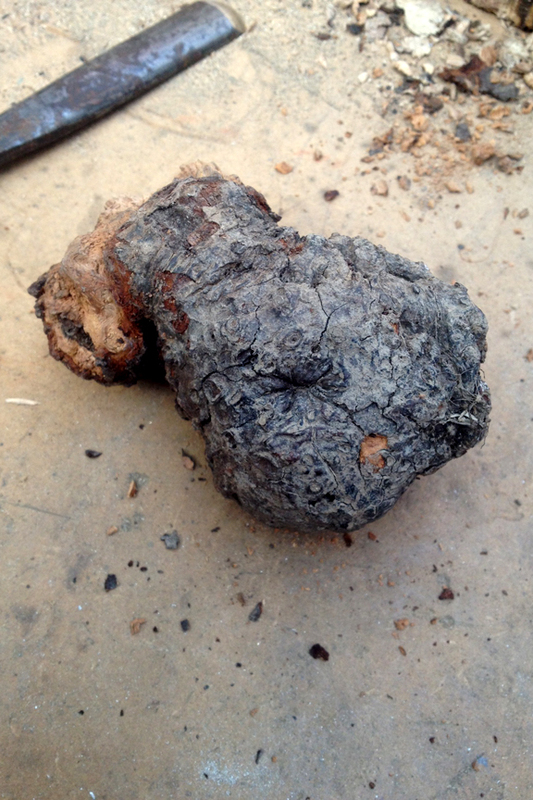 I found this little piece of burr wood while out walking, It was one of those occasions when you find something and know instantly what you were going to do with it. 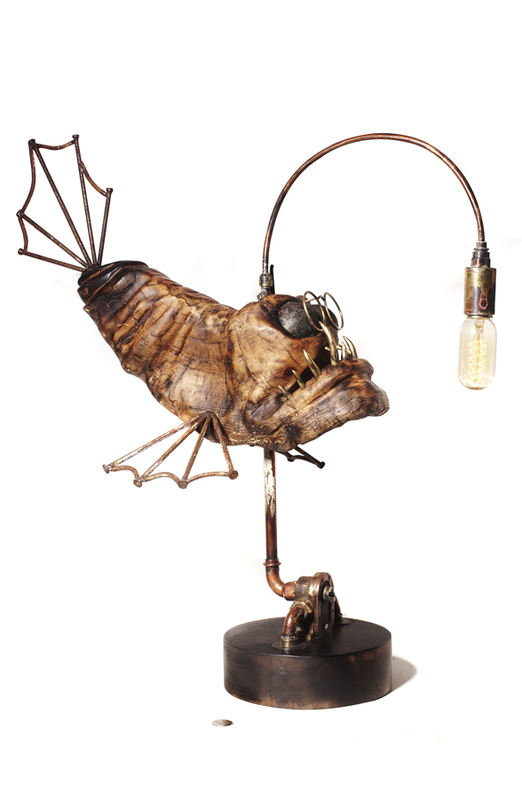 I have been looking at creating an Angler fish for a little while and although this piece was smaller than what I envisioned I thought it was perfect for the job.